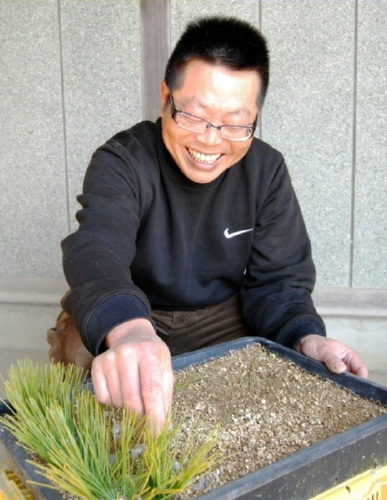 Kazuto Omatsu, the 4th generation of Omatsu Kinshoen bonsai garden in Kagawa's Ayagawa town, cultivates Nishikimatsu (cork bark Japanese black pine) by Sashiki (cutting) and ships it to all over Japan. It has been 17 years to grow about 7000 trees ever year since he quit his office job and started work at his family's garden. Because Sashiki does not need to use a stock, it can be shipped after 7 or 8 years cultivation. The tree is the original Nishikimatsu of his garden, "Fuji," which was developed in 1959 by the 2nd generation and his grandfather, the late Hajime. 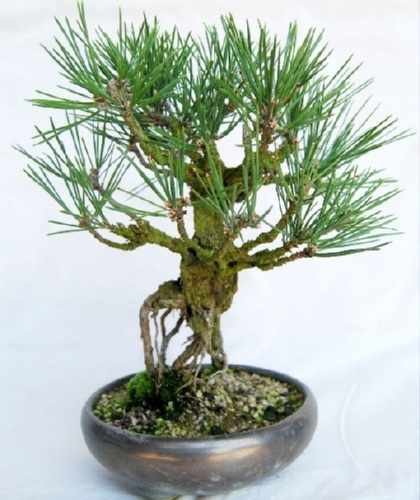 It is said it is difficult for pine tree to do Sashiki, however it works well for "Fuji." The survival rate is over 70 percent. It is good to do Sashiki in the beginning of April when the buds start to come out. So he just finished the work. From now, he waters it many times, then transplants it to the bed in the next spring to cultivate for 2 years. After that, he cuts and move it to field, and 2 years after, cuts it again. Finally he puts it in a pot and ships it in the next year. The most troublesome daily work is weeding. Concerning this, he thinks the way planting in a pot soon is better than the cultivation in a large seed bed. Pots can be moved on the weather and it is easier to weed. In addition, he thinks it may improve the bad Nebari which is thought as the disadvantage of Sashiki. Sometimes trees grown by Sashiki will be Takan (trees having some trunks) such as Sokan (trees having two trunks) and Sankan (three trunks). Because it is put a cutting after removing a bud, many buds come out in summer. 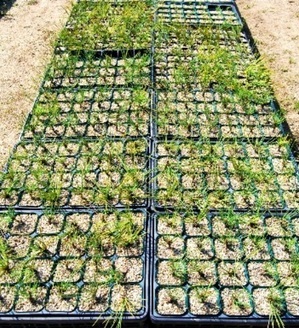 This is good for bonsai and Omatsu cultivates it using the advantage. Now Omatsu bends to cultivate the tree which is grafted a Goyomatsu to the stock of Nishikimatsu. It is difficult for Nishikimatsu to do Teitsugi because of the split of trunk. So only Takatsugi can work for it. Generally it is hard to find the good trees for Sashiki, but fortunately there are many stocks in his garden. 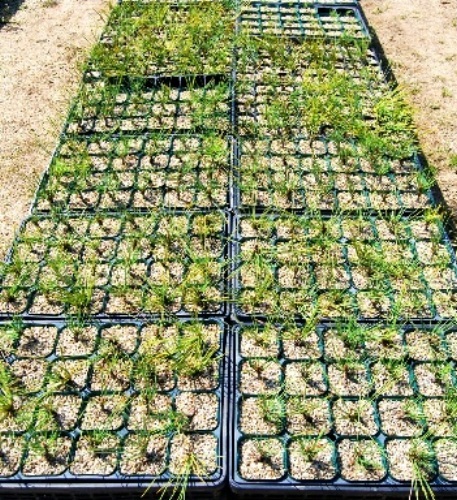 He hopes to develop a tree which has both the ancient atmosphere of Nishikimatsu and the easiness of Goyomatsu in the near future. Omatsu's hope is to expand the range of bonsai. He says, "I want many generations to enjoy bonsai in order to keep the good tradition in Japan.